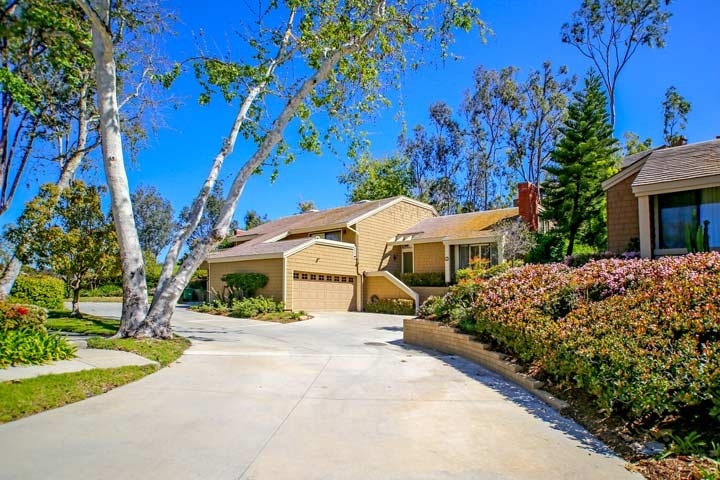 Turtle Rock Garden homes are located in the Turtle Rock area of Irvine, California. The Gardens community was built between 1976 to 1983 and features two to four bedroom townhouses that range in size from 1,572 to 2,504 square feet. The location is well suited and situated adjacent to the Turtle Rock elementary school and University High School in the heart of the Turtle Rock. The residences are well known for having great panoramic views and offer split and tri-level floor plans. Monthly homeowners association dues are required here and include us of the nice community pool, spa, tennis, homeowners insurance, exterior wood and roof repair. There are also many great hiking and walking trails in the immediate area. Below are the current available Turtle Rock Garden homes for sale and for lease in Irvine. Please contact us 888-990-7111 with any questions regarding this community and any of the homes listed for sale here.